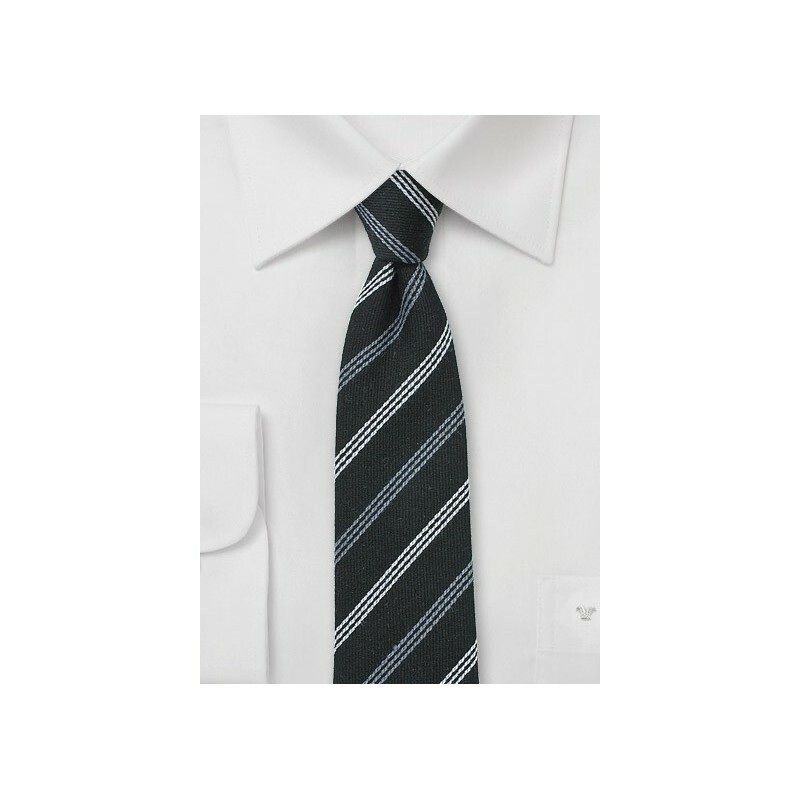 A smart-casual piece that looks nice in combination with a modern man's Winter business wardrobe or just with jeans and a more casual button up and tie bar. 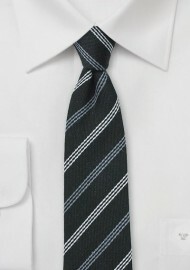 The jet black background is decorated with a fine striped design in gray and silver. Further highlighting the fashion forward design is the trimmed down skinny cut measuring 2.75 inches on its widest part. Made from silk and wool blend weave. 65% Wool, 35% Silk | Length: 58", Width: 2.75"